A suspended driver’s license can be embarrassing and inconvenient. For a commercial driver, it can create a serious financial hardship due to temporary or permanent job loss. The Law Offices of Matthew N. Fech, P.C. can fight to retain your driving privileges or help you obtain a probationary driver’s license so you can continue driving to work, school or medical appointments. Individuals can be subject to license suspension after being designated by the Bureau of Motor Vehicles (BMV) as habitual traffic offenders due to multiple convictions for serious moving violations such as reckless driving, driving on a suspended license, driving without insurance, leaving the scene of an accident or driving drunk. Driver’s licenses can also be suspended for drug convictions, nonpayment of child support, expulsion from school, failure to appear in court, or nonpayment of BMV fines. If you are found driving on a suspended license due to any of those reasons, you can charged with a misdemeanor crime and you could lose your driving privileges for years or for life. There are many reasons for the suspension of driving privileges and not all situations qualify for a hardship license. 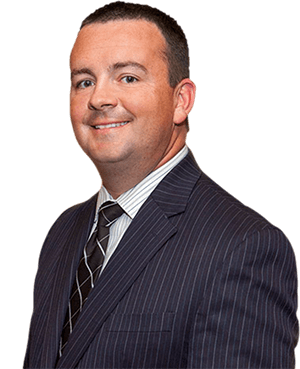 My name is Matthew Fech, a criminal defense lawyer experience in administrative hearings for license suspension and license restoration. contact me to determine your eligibility for obtaining a hardship license. I offer a free, no-obligation legal case evaluation at my law offices in Griffith. You need a driver’s license suspension attorney who has extensive experience resolving these issues for people throughout Northwest Indiana. I can explain the conditions for a hardship license and how I may be able to demonstrate to the court why you are a worthy candidate. Effective January 1, 2015 Indiana’s new law on driving privileges went into effect. This means that people who previously not eligible to obtain a “hardship license” may now be eligible to obtain driving privileges to go to work, school, shopping, church, medical appointments, court appointments, probation appointments, and many other driving needs you may have.